Draft: 1977, Milwaukee Brewers, 1st rd. 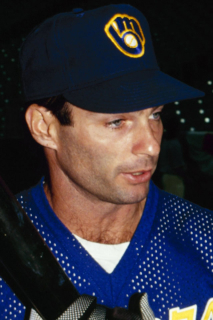 Paul Leo Molitor...wife Destini, daughters Blaire and Julia, sons Joshua and Ben...1974 graduate of Cretin High School in St. Paul, where he played soccer and was All-State in baseball and basketball...played in International Games in Montreal in summer of 1975...attended University of Minnesota where he was All-Conference in his final two seasons. ... Milwaukee's first round pick (3rd overall) in the 1977 First-Year Player Draft; signed by scout Dee Fondy...originally drafted by St. Louis in the 28th round of the 1974 First-Year Player Draft, but did not sign. Milwaukee's first round pick (3rd overall) in the 1977 First-Year Player Draft; signed by scout Dee Fondy...originally drafted by St. Louis in the 28th round of the 1974 First-Year Player Draft, but did not sign.